Learn and Grow with Alpha-Bits cereal. 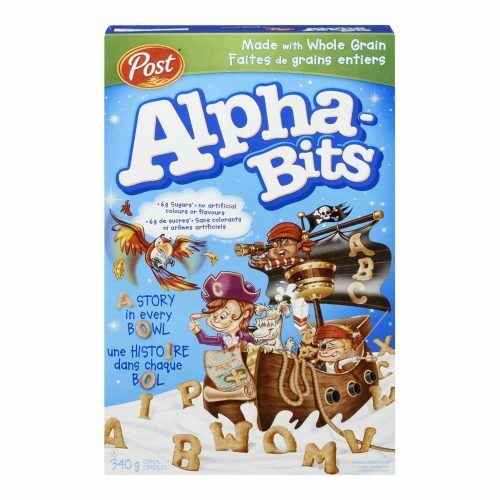 For decades, Post Alpha-Bits has remained a trusted brand with its great-tasting whole grain oat and corn cereal pieces and fun alphabet shapes that kids and Moms L-O-V-E. Just as the letters in Alpha-Bits cereal are building blocks for your child’s growing language skills – Alpha-Bits cereal is a good source of essential nutrients that are building blocks for a great morning start. Traditionally my ingredients have been used to assist with: INCREASING STAMINA AND STRENGTH ENHANCING ENERGY CALMING DIGESTION REDUCING FLUID RETENTION PROTECTING CELLS FROM DAMAGE BOOSTING THE BODY'S ABILITY TO BURN FAT Contains Camellia Sinensis (black tea), Zhucha (green tea), Gan Cao (licorice root). It’s hard to decide what’s more enticing – the great taste of coffee, or the warm delicate flavour of vanilla. Don’t try to choose. 311g. GARDEN PATCH VEGETABLES COME IN A 398ML CAN. 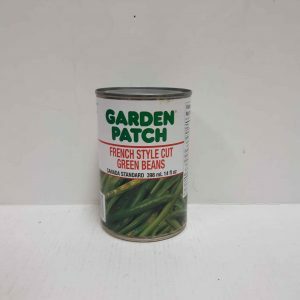 WE CARRY A WIDE SELECTION OF GARDEN PATCH VEGETABLES. PRODUCT OF CANADA. 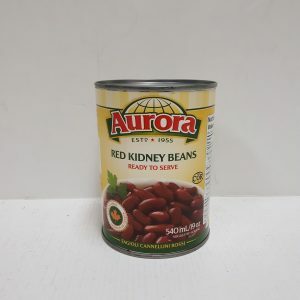 Aurora ready to eat red kidney beans. 540ml. Made in Canada.